Yes, women are in a pretty good position compared to the 1800s, but we’re still not where we should be. The MeToo movement is giving me hope the women get it. 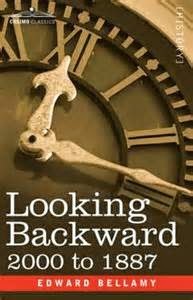 Published in 1887, Looking Backward: 2000-1887 introduced us to the idea of a truly humanist society. The follow up to it – Equality – delves deeper into the revolution which occurred for the women and men in the previous book. Edward Bellamy certainly seemed to have a great grasp of what it meant to inhabit a world where the value of all humans was understood. I’ve been recommending this book for more than twenty years. If you’ve not heard of it before, do yourself a favor and pick up a copy of each. Bellamy was ahead of his time, but I think we might actually be ready for his vision now.